Rave The Washington Post ...[an] expansive and penetrating narrative of a country, Liberia, that sweeps across continents and time ... Cooper, a New York Times Pentagon correspondent who was born in Liberia and won a Pulitzer Prize for her coverage of the Ebola crisis there, writes vividly and with authority. In the book’s closing chapters she captures the poignant — and sometimes difficult to read — tales of mothers dying because they had cared for their sick children, and adult children contracting Ebola as they cared for their mothers ... impressive for both its detail and the insight it provides into a historic figure. 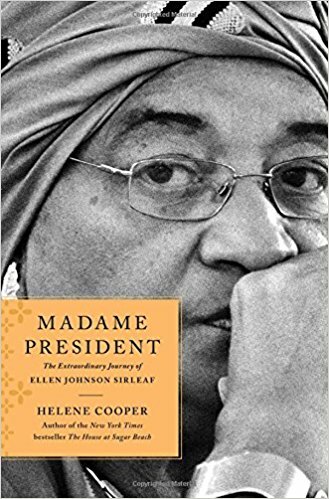 Throughout, she offers an unflinching look at the reserved Sirleaf’s personal life and presidency, which comes to an end this year, while also telling of Liberia’s pain and pride.